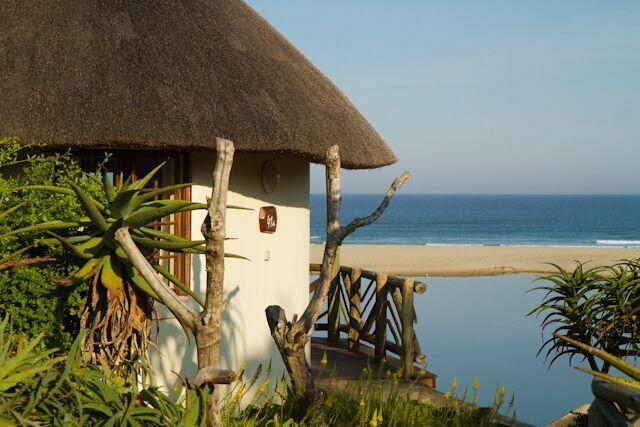 Discover an award-winning spa and family resort located on the breath-taking, secluded Wild Coast, Eastern Cape. Surrounded by pristine scenery and boasting a uniquely relaxed sophistication, Umngazi is a resort with an extraordinary energy, with colourful people, remarkable nature and glorious weather creating the perfect holiday playground for couples and families. Feel part of the natural harmony that makes up this exceptional corner of South Africa, with the enchantment of the Wild Coast and the warmth of the Pondo people. An adventure for the senses, as the tastes, sights and sounds of this wonderful land touch your soul, Umngazi calls to your sense of adventure with the promise of fascinating discoveries. Rates include accommodation, three meals per day and mid-morning and afternoon teas/coffees. Rate ranges from R1240 per person per month – R2720 per person per month depending on the season. From the very moment you arrive at Umngazi, you’ll sense the laid-back, hospitable atmosphere. Every small detail has been considered to ensure you experience total relaxation and down-to-earth comfort. Whether its outdoor adventure, indoor leisure, or romantic excursions you’re looking for (and some vigorous activity for the kids), you’ll find the best of what this piece of paradise has to offer. Canoeing – Canoes are available for hire at hourly and daily rates to guests who want to get out on their own. River Breakfast – A special river breakfast is available, which begins with a canoe trip up the river. Motor Boats – Small boats with outboard motors are available for hire at hourly and daily rates. For those with their own boat and equipment, there is a slipway into the estuary to launch from. Note: The use of jet skis in the river is not permitted. Tennis – a sure way of getting the blood pumping with friends and family. Dune surfing – back to basics: whether it be with a piece of an old cardboard box or the latest boogie board, kids delight in sliding down the main Umngazi dune at an exhilarating pace. 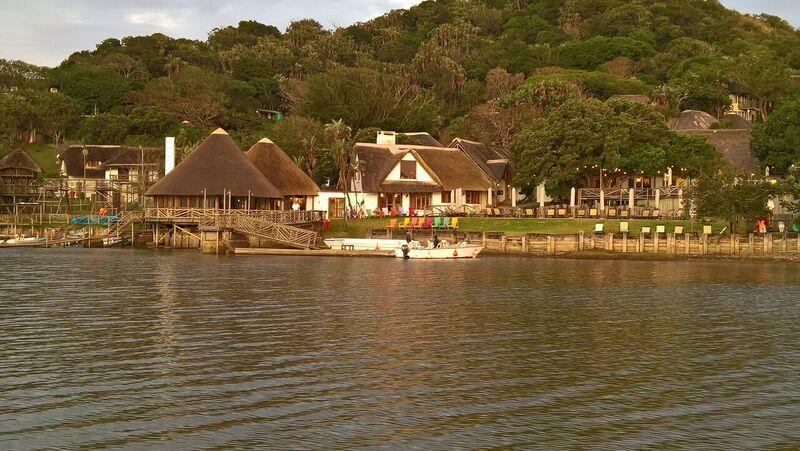 Umngazi’s facilities include a number of well-appointed lounges and decks, ideal for board games and reading in a peaceful setting away from urban distractions. There are several activities to keep you entertained at Basil’s Bar: darts, snooker, and the bar quiz, are a few favorites, but there are a few more interesting local surprises which you͛ll also get to experience. With the additions of our Spa and Gym, indoor leisure is met with outdoor splendor. Both enjoy unrivaled panoramic views where guests can unwind and enjoy optimum health whilst overlooking the beach and surrounding valley. Spa – every guest is encouraged to enjoy a sumptuous treatment in our brand new spa facility, of which we are very proud. This is an experience unlike any- don͛t just take our word for it! Slipway͛ leisure lounge – set down at the water͛s edge, with a cosy fireplace, this is a little niche, ideal for cups of tea with a book in hand or games of backgammon. Library – set up in the thatched eaves, this quiet area comes stocked with a variety of books ideal for holiday reading. Snooker – always a fun recreational activity, enjoyed in Basil͛s Bar with a friend. Gym – our newest facility, which has been received with resounding approval, with its exceptional setting and top of the range equipment. Tennis Court – a sure way of getting the blood pumping with friends and family. The Pavilion – guests can enjoy great views of the river while spectating the odd tennis game from this vantage point. Wi-Fi is available in all public areas. For the kids, dune surfing, mullet cruises, and slippery slide are the most popular activities at the resort. Our enthusiastic Entertainment team has plenty of tricks up their sleeve to keep children stimulated with daily activity boards, located at reception, keeping guests updated on the day͛s scheduled entertainment. Children’s TV Lounge – a cosy and relaxed area for kids to come together and enjoy some scheduled screenings of their favorite programmes. Creative corner for children – a colourful and bright area designed to stimulate the creativity and imagination of your children. Children’s trampoline and playground – always a fun outdoor option to keep children active and healthy. Children’s dining room for ages 5yrs & under – babies and toddlers can be fed in this special dining room outside of dining times, to fit in with your usual feeding routines. Nanny Service – our wonderful local Pondo ladies offer their child-caring services at an hourly rate, which ensures you can relax in the comfort of knowing your child is in excellent, nurturing hands. No – the hotel is fully catered, rates include three meals per day. Dining room with outside deck – this is situated at the heart of the hotel, where guests enjoy most of their relaxed mealtimes. Children͛s dining room for ages 5yrs & under – babies and toddlers can be fed in this special dining room outside of dining times, to fit in with your usual feeding routines. Riverside Gazebo – a wooden deck, positioned over the river, for a secluded, private dining experience. Basil’s bar and deck – an atmospheric meeting place to wet your whistle, whether over a game of darts inside the bar or reading a book on the deck overlooking the river. Green Door Wine Cellar – a cosy, private dining experience amid our fine array of wine, with fantastic tasting options to accompany your meal. Slipway deck – a quaint little deck down at the water͛s edge, best enjoyed with a book in hand or by scanning the horizon with your binoculars. River breakfast – a popular dining experience, set along the Umngazi river bank in quiet seclusion, where guests can take in the early morning sights and sounds. Lunch packs – for days spent away from the hotel in the outdoors, these are prepared by our obliging chefs in convenient packs to take away with you. Fishing Guide service – friendly and knowledgeable local fishermen, offer their guide services at an hourly rate, with unique local insights into the top spots and best-practice fishing techniques. Umngazi orchestrates unforgettable romantic honeymoons and has earned a reputation as one of South Africa͛s premier honeymoon destinations. Special Honeymoon Bungalows have been designed to provide privacy and added pampering, while our spectacular Spa provides idyllic romantic treatments for two. Port St Johns enjoys a comfortable sub-tropical climate. The combination of mountains and sea creates a temperate zone, which is ideally suited to winter holidays but also keeps the temperature cool and comfortable in summer. The period of highest rainfall occurs mainly in the summer months. The climate is perfect for holidays all year round, with sea temperatures mild enough for even mid-winter bathing.